Navel or Valencia – Which Orange for Me? Home Uncategorized Navel or Valencia – Which Orange for Me? Everyone loves oranges, for that summer in the mouth feeling you get popping a juicy segment, or drinking a glass of freshly-squeezed juice. When it comes from your own tree, then nothing beats the thrill of that orange. To enjoy the special pleasures of home-grown, you don’t have to live in Florida or southern California, because, like many other citrus, oranges can be grown in pots, keeping them outdoors in summer and inside during the colder months. What Do You Want to Do with Your Oranges? Ripe in winter or summer? Decided? Then let’s look at the options and see which kind of tree you should get. The orange is part of the citrus family, which includes lemons, grapefruit, satsumas, kumquats and several other kinds of trees. All these differences were created by accidental or purposeful breeding from just four wild trees – mandarin (Citrus reticulata), pomelo (C. maxima), citron (Citrus medica), and papeda (C. micrantha). The orange is a cross between mandarin and pomelo. 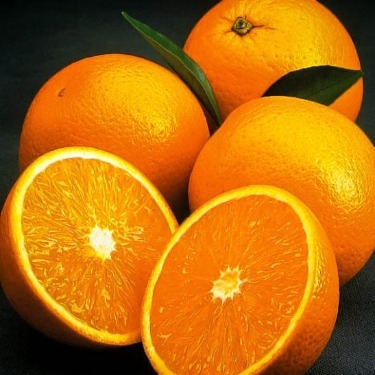 It is about 75% mandarin genes, which is why it is sweet, while the grapefruit has more pomelo genes, making it bitter. Over the centuries more crosses and breeding took place, and in the 19th century three or four main types of oranges emerged. The two most important are the Navel orange and the Valencia orange. Let’s look at each of these in turn, and see the differences. 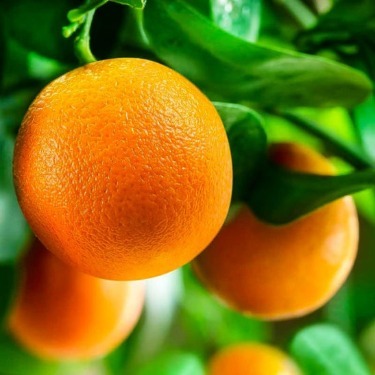 Navel oranges have that name because there is a small second orange at the base of the fruit, bulging out and making the end look a bit like a human navel. These oranges have looser skin, so they are easy to peel. They are juicy, but the walls of the segments are stronger, so they break apart into segments easily, without turning to juice and pulp. They also lacks seeds, so those pesky things don’t have to be removed. Obviously, these features make the Navel orange good for eating or adding to salads, and the Navel orange is indeed the number-one eating orange. 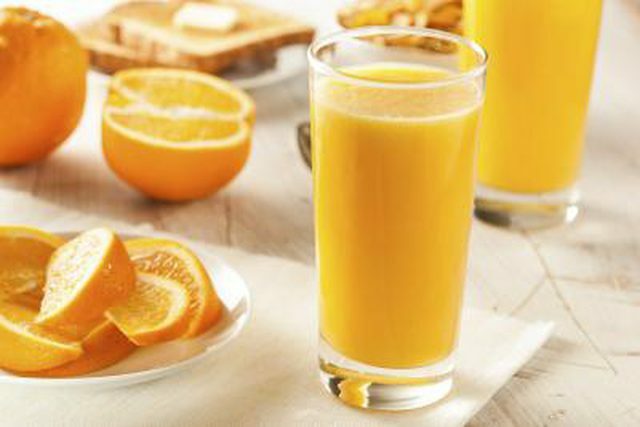 It is also easy to juice this orange, so you can also enjoy fresh juice, which is sweet and tasty, but a little lighter in color. There is some variation between varieties, but fruit ripens between December and March, with a peak in January and February. If you like to eat oranges in winter, for that precious vitamin C hit, and to dream of summer, then a Navel orange, like the well-tested Washington Navel Orange, is an obvious choice. Valencia oranges are an ‘all-American’ fruit, despite the name, and they were developed in California by an American landholder called William Wolfskill, when that state was still Mexico. This orange has a thin skin, which is harder to remove, but it is packed with sweet juice, so it is the number-one variety for juicing. It can still be eaten out of the hand, but it is easier to cut the whole fruit into pieces and eat it like a piece of melon, than to try and separate the segments. If you love juice, the Valencia orange is clearly what you need. Valencia oranges are special because they ripen their fruit in spring and summer. The season is from March to June, and the longer the fruits stay on the trees, the sweeter they become. Because the fruit takes more than a year to ripen, trees bloom for the next crop while the previous one is still on the tree, so in spring a tree has beautiful sweetly-scented white flowers, as well as golden ripe fruit on it. This is such a beautiful sight, that it is reason enough to grow a Valencia orange tree. If you are going to grow your tree in a pot, the Olinda Valencia Orange is an excellent variety that stays small, but carries a good crop. It is also a little more cold-hardy than many others, so if you live in warmer parts of zone 9, it will grow outdoors. Choose a sheltered sunny spot for it. That gives you the main differences between these two types of citrus. If your emphasis is on eating in winter, go for a Navel orange tree. If you love summer breakfasts with a glass of fresh-squeezed orange juice, then a Valencia is what you need. Of course, if you have room, the ideal is one of each – then you will have your own fresh oranges for most of the year. If you are looking for something else from your oranges, there are other varieties for more specialized purposes. The Blood orange is a variation that developed in Sicily in the 15th century. The skin, flesh and juice are all red, varying in intensity between different varieties. It has a distinctive flavor and some people like it for juice, as well as for adding color to salads. If you love to eat marmalade on your morning toast, then you might want to seek out a Seville orange tree. Although still the same hybrid between mandarin and pomelo, and thus a true ‘orange’, this tree has bitter fruit, unsuitable for eating. However, marmalade aficionados consider it the very best variety for making that preserve, since the bitterness gives a tang that is lacking in preserves made from other oranges. The fruit ripens in February, and doesn’t keep for long, so you need to get out the preserving pan right away. No, you are probably not crazy 🙂 There are two possibilities. Sometimes growers create what are called ‘family trees’, which have two or more varieties on them. These are more common with apples, but I have heard of them for citrus too. So your tree could have had both valencia and a navel orange shoots grafted onto the same trunk. If that is the case, then the two kinds will be on different branches of your tree – never on the same branch. If they are on the same branch, well small navel oranges don’t have much of a navel, so if it is small ones you think are valencia, and the bigger ones look like navel oranges, that could be the explanation. In any case, you are lucky – great eating and great juicing oranges on one tree – and a long harvest season as well! Do valencia and naval oranges ever hybridize? I have one of each planted side-by-side. Their branches slightly overlap and this year the navals on the valenica side are smaller like the valenicas and have almost no naval (which you explain in the previous post). A hybrid is two plants of different species crossed together, but valencia and navel are just two varieties (called cultivars by botanists), so no, they don’t hybridize. A cross between a dog and a cat would be a hybrid, but two oranges are more like a cross between a bulldog and a greyhound. Even if your two trees did pollinate, the result would only show in the seedlings, not in the fruit on the existing trees. A more likely explanation is that the navel tree next to the valencia is being shaded, so the fruit are smaller, and thus with a smaller navel. Remember that fruit in the store has been graded for size, and the smaller ones sent for juice. When you grow your own you get everything, small, misshapen, whatever. Store food gives a false picture of what a harvest actually looks like, where there is lots of variety of shapes and sizes.